Melrose is the materialize return of feminine refuge. Created with Boca do Lobo's core value of reinterpreting the past and giving it a contemporary style, Melrose presents a novelty, a mirror that lets you adjust the viewing angle while rotating around a vertical axis, allowing a rotation of 360º. 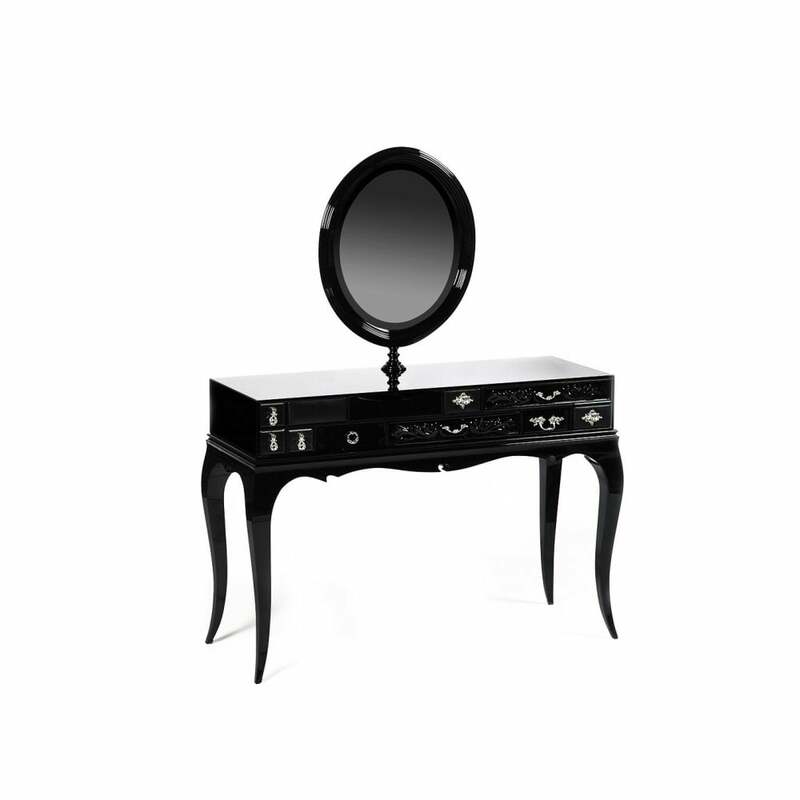 Melrose is a modern dressing table available in black or white, an exclusive piece of furniture that lends a unique decorative touch to your bedroom. PRODUCT OPTIONS Drawers: High gloss black lacquer and leather; or high gloss white lacquer and leather Legs: High gloss coloured lacquer in black Glass Box: Smoked or Clear Other colours and combinations available with an upcharge. Smoked glass, mirror, lacquered wood, leather, casted brass handles, laquered glass.